Welcome to MOSAICS . . . The Breakfast Club opens at 7.45am, providing children with a safe, friendly, relaxed and welcoming start to the school day. Activities cater to the interests and needs of the children, providing a calm and socialising start to the day. The After school club meets at 3.30pm in the main school hall and is open until 6.00pm every day. Again activities cater to the needs and interests of the children attending and include traditional games, creative activities, construction, social play, use of the outside area and adventure playground. Children attending both clubs enjoy a variety of healthy foods and some fun activity time with friends under the care of our trained and dedicated team of staff. Bookings can be made on the day but wherever possible in advance or before 9.30am on the school day, to ensure that the correct staff ratio is available. However, if numbers allow, we will always do our best to accommodate late bookings and in unforeseen circumstances. 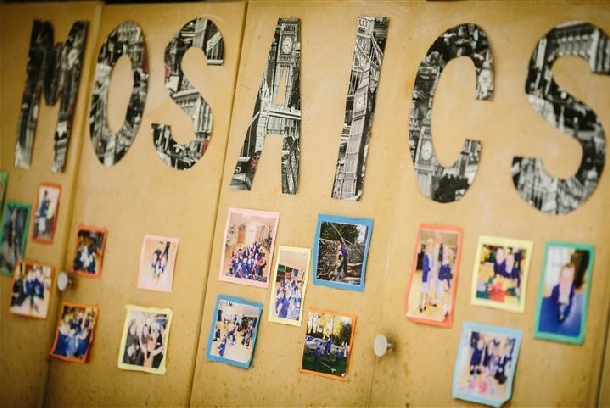 Please get in touch with our school office to book a place or find out more about MOSAICS wrap-around care. Click HERE for details of opening times and fees.